In 2018, against China’s “coal-to-gas switch” policies and high environmental protection pressure, the capacity at downstream oil-based coatings industry declined while the market potential of water-based coatings was huge. As the major film forming matter of water-based coatings, the demand for acrylic emulsion also picked up notably. Driven by that, China’s newly added acrylic emulsion capacity was expected to reach 450kt/a in 2018, mainly focusing on these emulsions such as construction, waterproof and wood lacquer. The market supply expanded rapidly, intensifying the industry competition gradually. With environmental protection policy becoming severer in 2018, the operating rate of China’s acrylic emulsion industry would be largely stable from 2017. Besides, some enterprises were compelled to newly added capacity affected by environmental protection policies, which could impact the operating rate in 2018. In the context of “oil to water”, China’s acrylic emulsion capacity saw constant increases in 2018. Required by regional environmental protection, original and newly added capacity was redistributed marginally. Thus, the sales regions and market shares of acrylic emulsion enterprises were also redistributed. Those large-scale enterprises who were equipped with complete industrial chain and matched feedstock presented the edges gradually. On the contrary, enterprises with single-model product and insufficient matched products would lose market shares constantly. Meanwhile, acrylic emulsion enterprises further strengthened the development of high-end products and low-VOC products. What will happen to the acrylic emulsion industry in 2018? How will the enterprise develop? 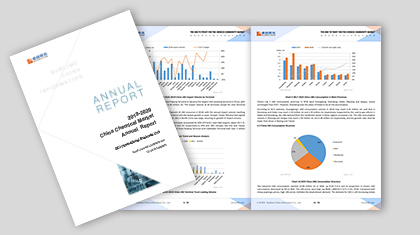 Based on more than 10-year original data monitored by SCI, the report will make a full and detailed review for China’s acrylic emulsion market in line with those authentic data from National Bureau of Statistics of the People’s Republic of China, General Administration of Customs, P.R. China, and National Development and Reform Commission. Besides, SCI will also analyze the market supply-demand changes, price trends, profit changes, the competition among enterprises and the impacts of environmental policies on the market, in partnership with industry senior specialists, China’s major suppliers, traders and major downstream producers. Ultimately, the report will provide valuable guidance for market participants. 1. To present China’s whole market supply changes via the supply-demand analysis for China’s acrylic emulsion market. 2. To present 5-year capacity and output by regions, in a bid to help market participants grasp the production status and development of China’s producers. 3. To analyze price driving factors from different perspectives and objectively evaluate acrylic emulsion industrial chain value. 4. To analyze the downstream markets of acrylic emulsion so as to make market participants understand the market future development.